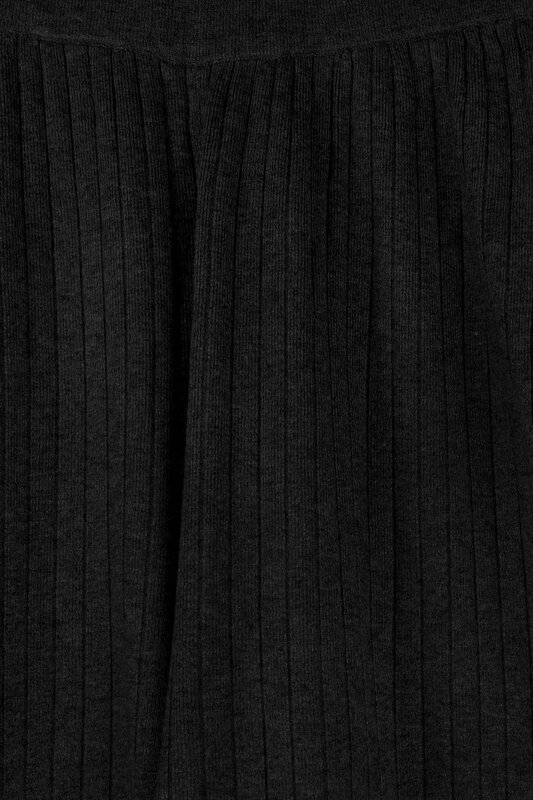 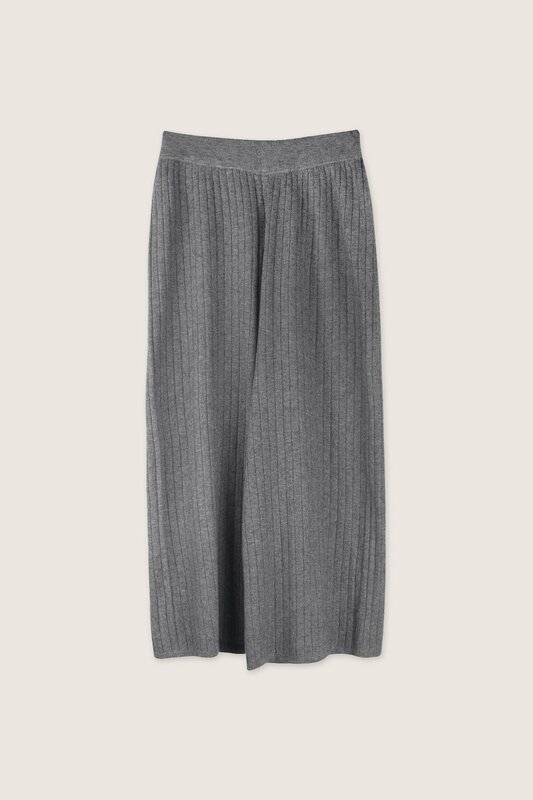 Ultra soft to the touch, these knitted pants feature a pull-on waist with ribbed wide legs that give off an almost-pleated look. 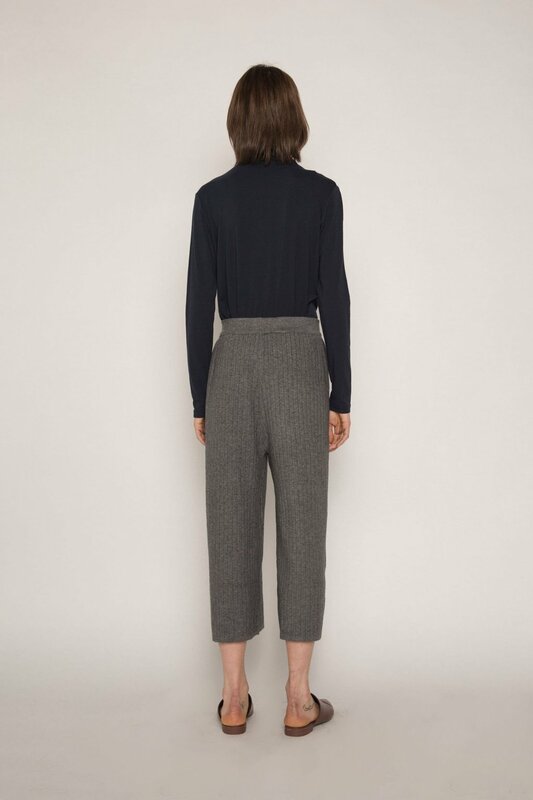 Super comfortable, these pants are minimally elegant and perfect for staying chic and cozy. 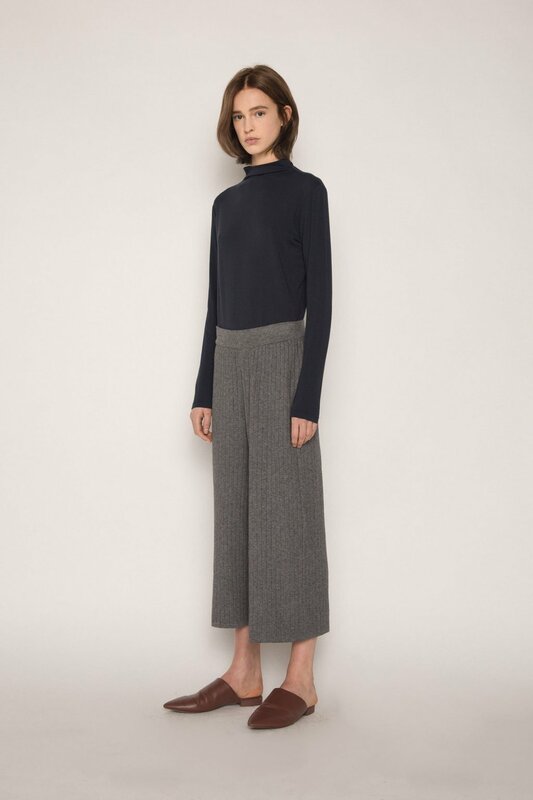 Pair with a turtleneck sweater, fall coat, and sneakers for an cute everyday look.